Welcome to our humble website. If you're here, you're probably having some kind of plumbing, heating or cooling problem. Sounds like someone needs a HUG! 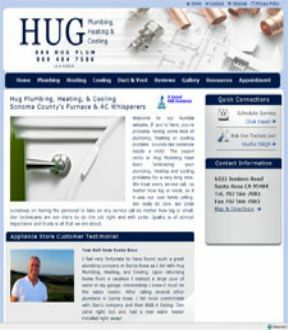 The expert techs at Hug Plumbing have been 'embracing' your plumbing, heating and cooling problems for a very long time. We treat every service call, no matter how big or small, as if it was our own family calling. We really do care. We pride ourselves on having the personel to take on any service call no matter how big or small. Our technicians are out there to do the job right and with pride. Quality is of utmost importance and truely is all that we are about. Santa Rosa HVAC Contractors. Santa Rosa HVAC Contractors. Santa Rosa HVAC Contractors. Santa Rosa HVAC Contractors. Santa Rosa HVAC Contractors. Santa Rosa HVAC Contractors. Santa Rosa HVAC Contractors. Santa Rosa HVAC Contractors. Santa Rosa HVAC Contractors. Our air conditioning in Santa Rosa are highly trained, professional individuals that can provide the most accurate assessment of your system. We are very careful in our hiring and training practices. We know that our technicians are going to be the strongest representative of our company you will encounter, and we make sure that their values are our values. 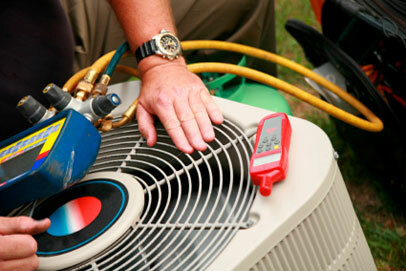 We can help you with all your HVAC or air conditioning repair in Santa Rosa, CA. No matter how large or small. Call us 707 385 1209, 888-HUG-PLUM ac repair service in Santa Rosa, Rohnert Park, Petaluma, Windsor CA. We offer our emergency heating and furnace repair in Santa Rosa dispatch to residnetial and commercial customers. With 24/7 emergency repair technicians on stand-by, no matter what time of day or night you encounter heating and furnace replacement issues, we will rapidly send our repair technicians to diagnose problems and offer a range of affordable solutions for repair, replacement of parts, and full system replacements. As a professional Heating and furnace repair in Santa Rosa, Rohnert Park, Petaluma Windsor we are ready to offer you reliable service. Your home will benefit from having one of our fully trained technicians service your cooling system. We pride ourselves on having the personnel to take on any service call no matter how big or small. Our technicians are out there to do the job right and with pride. Quality is of utmost importance and truely is all that we are about. Our Hug Plumber in Santa Rosa, Rohnert Park, Petaluma Windsor are committed to providing you with professional plumbing services, high quality work, and affordable rates. Call us at 707 385 1209 to schedule your appointment. HUG is proud to announce the development and launch of our new website. Our new website will enable use to provide you with an abundance of useful information about keeping your home's plumbing, heating, and cooling operating properly. Included in our new website is our updated customer testimonials, Services, Meet Our Staff, Air Conditioner Service pages!